Iced coffee has become all the rage in recent years, and for good reason. It’s delicious! But I bet many of you have yet to try Japanese iced coffee. The biggest problem with iced coffee is the brewing method. Cold brew methods take a long time and they simply can’t extract all the intricate flavors to be found and enjoyed in coffee beans. That is where Japanese iced coffee comes in. Using this method, you can enjoy iced coffee that is filled will flavor and is just a cut above all of the other cold brew methods out there. What Is Japanese Iced Coffee? Japanese iced coffee refers to a brew method that first rose to prominence in Japan. The final coffee you enjoy doesn’t actually have ice in it. Instead, half of the water you use during the brewing process is ice instead of hot water. 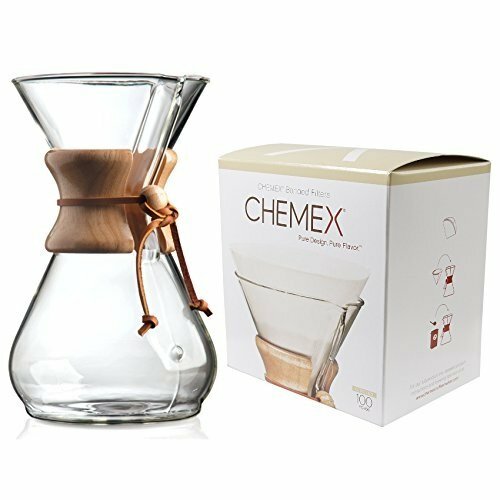 This method is prepared using a Chemex or other pour over methods and typically is made with a double strength batch of coffee. The results is stronger cold coffee treat filled with flavor that is perfect for a hot summer afternoon treat. As you can see, you don’t really need a lot of equipment or ingredients to make this type of coffee, but we do recommend that you use a proper type of coffee maker for this job as it is the only way to truly replicate this style of iced coffee. Are you ready to begin preparing your cup of Japanese iced coffee? I hope so. Let’s get started. 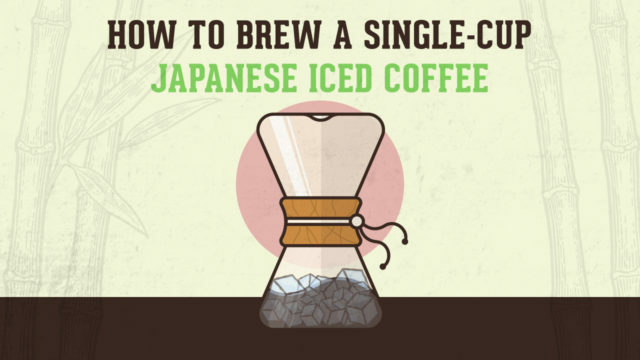 For the purposes of this guide, we will be preparing a single 16-ounce cup of Japanese iced coffee. To begin, add your ice to your Chemex. For the best results, be sure you use a kitchen scale. For a 16 oz. cup of Japanese iced coffee, add 8 ounces of ice to the Chemex to account for approximately half of your finished volume. Grind your coffee of choice and measure out about 1.8 grams of coffee for every finished ounce of brewed coffee. For best results, try using a medium-coarse ground. So, for a 16 oz. beverage, you will use about 30 grams of coffee. If you don’t have a scale handy, each tablespoon is equal to about 5 grams of coffee. Boil your water on the stove until it reaches somewhere between 195°F and 205°F. Once it reaches this temperature, immediately remove it from the heat. Pour the hot water over the grounds. Since we are making a 16 oz. cup and we already have 8 ounces of ice, add 8 ounces of hot water and allow it to brew. During this process, the hot coffee will pour over the ice, melting it while unlocking some of the rich and wonderful flavors in the coffee. During the brewing process, much of the ice will melt. The goal is to have it all melt, but if there is some left don’t worry. You will still have an amazing cold up of Japanese iced coffee. Pour the coffee into a glass and enjoy your coffee. It really is the perfect pick me up for a hot summer afternoon. Japanese iced coffee is one of the easiest ice coffee brewing methods out there, and it creates a cold coffee that is truly unique in the process thanks to the unique brewing method. The end result is a delicious cup of iced coffee that has almost no ice in it, and the tastes and flavors it brings are truly something unique and special. 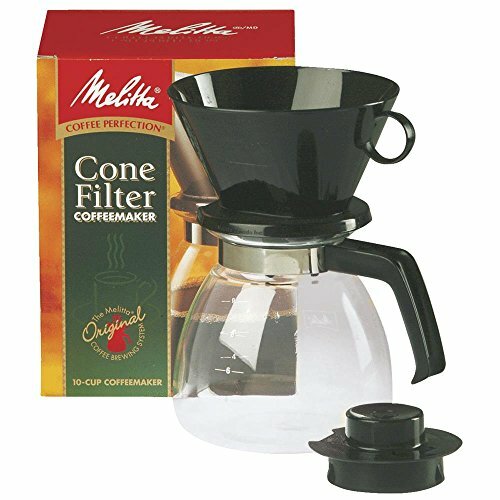 If you have been searching for a new way to enjoy your favorite coffee, we highly recommend this method. So give it a try and let us know what you think of the results. In the end we believe you will be delighted and given how easy it is, we are betting that you will start enjoying this iced coffee all summer long. Too hot outside to really enjoy your usual, warm cup of joe? Try one of these 15 thirst quenching cold brew coffee recipes, so you can cool down and still get that caffeine kick we all need. Learn the steps you need to take to enjoy a creamy, rich and flavorful cup of Vietnamese Iced Coffee in your home. Don't sweat over hot coffee on a summer day; try a cold brew. 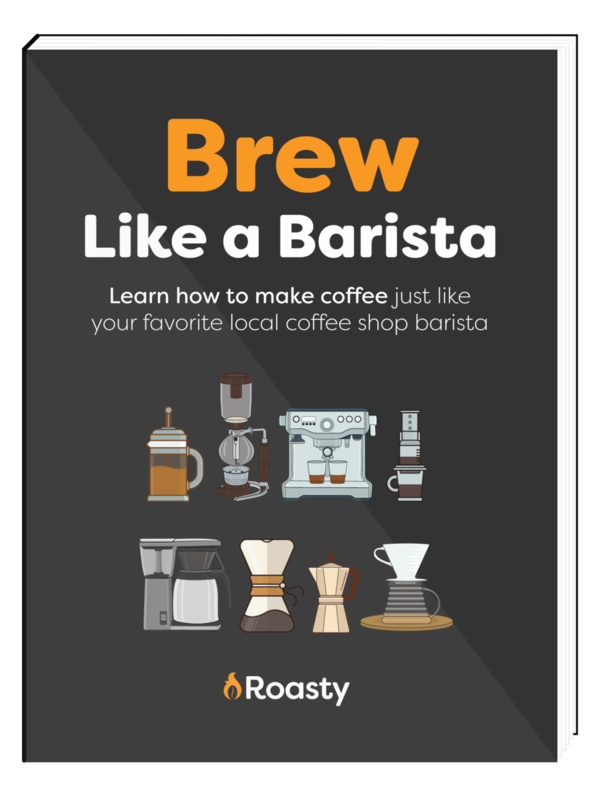 In our guide to the best coffee for cold brew we will give you our top five picks for this rising star brewing option. Watch this video on how to make cold brew coffee at home with an OXO® Cold Brew Coffee Maker in only 7 easy steps. Did you know that a frappé, frappe, and a frappuccino are all different drinks? Fear not, we're here to answer once and for all "what is a frappé?" including a recipe and common variations.